Demilune’s scented candles and diffusers combines traditional craftsmanship, purest ingredients and environmental consciousness. 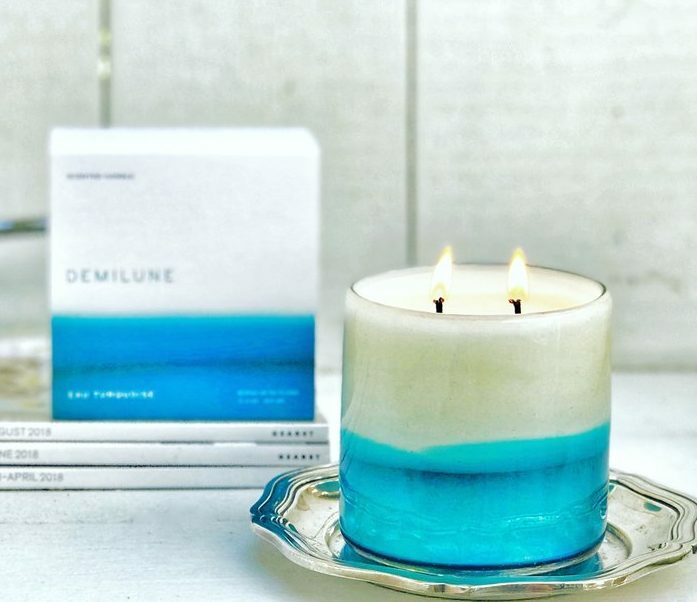 Hand-poured produced in the US, Demilune candles are meticulously made of the highest quality of premium soy blend and essential oil based fragrances – all our fragrances are phthalate free, IFRA approved. For your peace of mind, Demilune’s candles are completed with untreated cotton, lead & zinc-free wicks. Our colorful Epure vessels are crafted of 100% recycled glass. Each vessel is mouth blown and hand-shaped by skilled artisans. These beautiful glasses can be re-purposed food and dishwasher safe and are lead-free. Please check for availability as stock changes daily.